A very good analysis by Grace Leong of the Straits Times on the likely impact of Donald Trump’s avowed protectionism on Asia, and Singapore in particular. I doubt he will be able to live up to his anti-free trade bluster. If the US closes its doors to Asia, big Asian economies will close ranks and China – which is more than willing to open up its economy and establish new trade links in order to expand its global market space – will dominate the whole region. Asian countries and even those in other continents will pivot towards China if the US closes its doors to imports. The Trans-Pacific Partnership is stalled, but all is not lost as the US could renegotiate or Asia could proceed with an alternative trade deal backed by China. Mr Donald Trump’s inauguration as the next US president is less than three weeks away. Judging by his appointment of ardent China hawk Peter Navarro to head a newly formed White House National Trade Council, hard-nosed trade negotiations with US trade partners are in store during his term. On trade, Mr Trump has promised to withdraw the US’ pledge to join the Trans-Pacific Partnership (TPP), a free trade pact that has not been ratified by US lawmakers. And he has called for the US to renegotiate the North American Free Trade Agreement with Canada and Mexico. Does this spell the end of the TPP? In name and form perhaps. But the US is also unlikely to walk away from a trade pact that accounts for more than 40 per cent of the world’s GDP, and leave the door open for the China-backed Regional Comprehensive Economic Partnership (RCEP), a trade deal pioneered by Asean and its free trade agreement (FTA) partners. “Much of China’s economic diplomacy is beneficial, but the hidden cost is that, at this stage, China is not committed to the open trading system that the US had sought to build, and will not likely promote open trade in services or reduction of non-tariff barriers such as subsidies,” says Mr Philip Jeyaretnam, senior counsel and regional chief executive at Dentons Rodyk. In short, a regional trade pact that does not involve the US is not desirable. Webmaster Steven Ooi, a First Class Honours grad from NUS, retired from a distinguished 14-year career as an English and GP tutor at the age of 42. To view tutors recommended by Steven Ooi, please click on ‘Recommended Tutors/Testimonials’ above. English or GP tutors keen to be listed on this website (consistently ranked top 10 on Google for GP tutors) as a Recommended Tutor, please email Steven Ooi at stevenooi18 @ yahoo.com (remove the spaces). 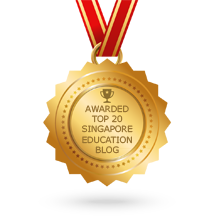 This entry was posted in Recommended Articles and tagged english tutor, general paper, gp tuition jobs, gp tuition sg, gp tuition singapore. Bookmark the permalink.